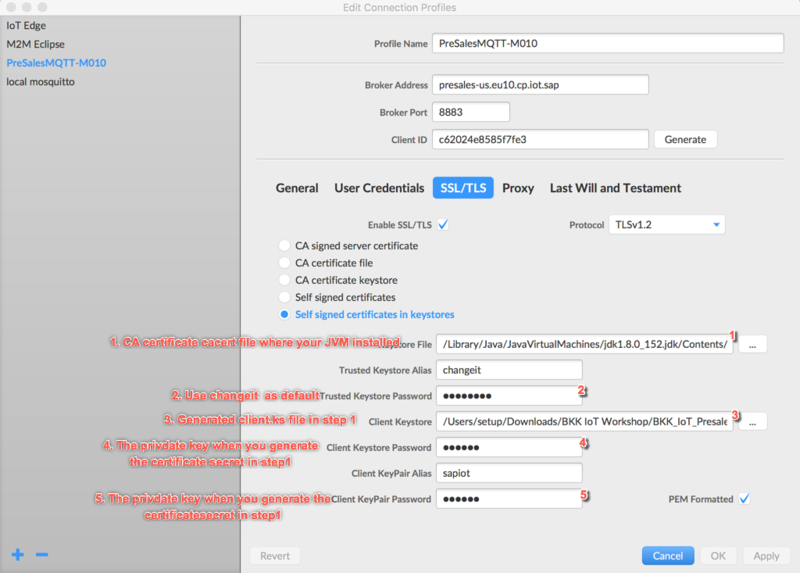 Eclipse Paho client is mentioned in the official help document as the MQTT simulation tool to post MQTT messages to SAP IoT service 4.0, however, Paho is frequently crashing with MacOS 10.13 or sometimes on MacOS 10.12. Here MQTT.fx is alternative solution if you want to simulate the MQTT rest with a very user friend GUI. In this document, we are mainly show you the configuration on the MQTT.fx side instead of showing you how to use SAP IoT service gateway. 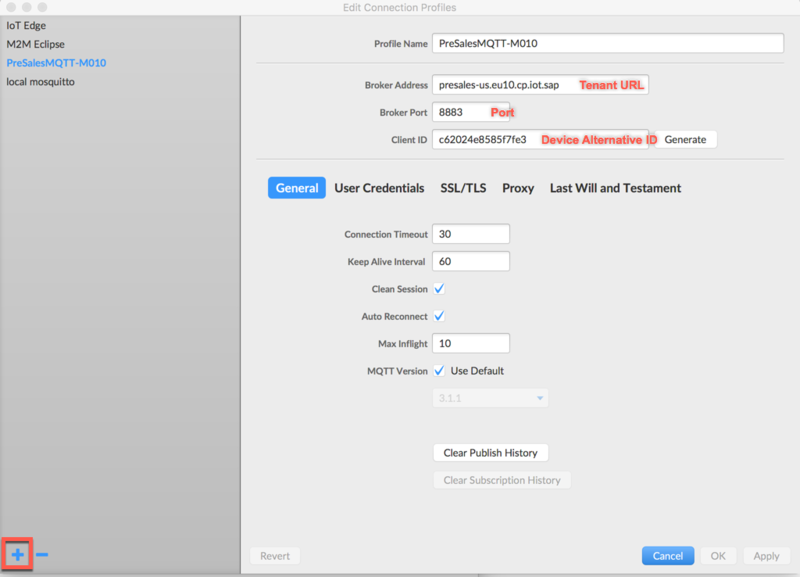 You can download the latest MQTT.fx (http://mqttfx.jensd.de/ ) from the download tab, you can download the latest version (based on your OS version). You will then have your private certificated generated for your device.